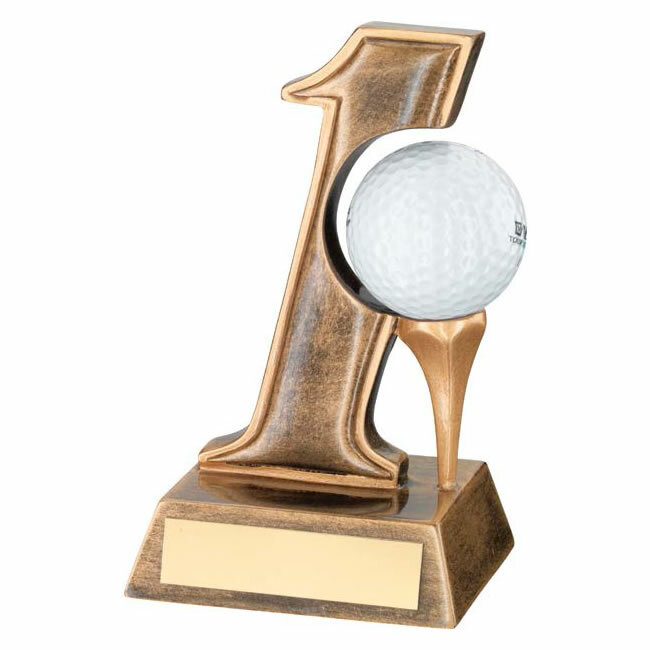 These golf hole in one trophies feature a stylised number one with a tee designed to hold the ball from a successful hole in one shot (ball not supplied). They are made in resin with an antique bronze and gold colour finish and include a bevelled base with engraving plate. Stands 5.5in (140mm) tall, offered with engraving options for the base plaque.